Playing NJ Powerball is extremely easy. Find out everything you need to know about how to play Powerball and put in your ticket for the chance to scoop some of the largest jackpots in the entire lottery market. As per the official Powerball rules, for each line you play, choose 5 main numbers from a guess range of 1 to 69 and a Powerball from 1 to 26. Once you have selected the numbers you want, your ticket for America’s biggest lottery is in! You can also opt for the Power Play multiplier, for a small additional cost of $1.00 per line. This option can increase your winnings 2, 3, 4, or even 5 times. If you successfully guess all the main numbers and the Powerball, then the huge jackpot is yours and you go home a BIG winner! Guessing the main numbers without the Powerball will win you the second prize, which is worth a full million. When Are the Powerball Draws? 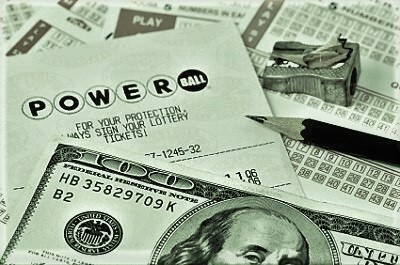 The official draws for the Powerball lottery are held twice a week, on Wednesdays and Saturdays at 23:00 EST. The cut off time is typically one hour before the draw, so make sure you purchase your lottery ticket in due time for the draw. Each draw of the week offers players a new chance to win fabulous prizes in the US Powerball lottery. For a very low extra cost, you can play Powerball with the Power Play multiplier. Let us tell you how the multiplier works! All you have to do is check the Power Play option on your ticket and you will be on your way to getting bigger prizes. During the Powerball draw, lottery officials also draw a random number from 2 to 5, which will be the multiplier for that draw. If you have the multiplier option on your ticket, your winnings will be increased by the number of times indicated by the Powerball PowerPlay number. 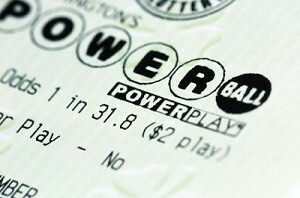 Please note that according to Powerball rules, the multiplier does not apply to the US Powerball jackpot. Even the second prize in the Powerball lottery, which is worth $1,000,000, can only be doubled for winners who have played Power Play on their ticket. However, all other secondary prizes can be increased 2, 3, 4, or even 5 times, depending on that draw’s multiplier. Additionally, when the US Powerball jackpot is lower than $150 MILLION, secondary prizes (except the $1 million second prize) can be increased 10 times. Over the years, the US Powerball lottery has established itself as the leader in the lottery world due to its enormous jackpots. It holds the world record for the largest jackpot ever awarded in a lottery game, with a massive prize of $1.58 BILLION, reached on January 13th, 2016. The most important thing to know about the Powerball jackpot is that for each draw that does not have a jackpot winner, the amount rolls over and increases without any cap. There is no established prize limit for the first prize, so it can go up many times over. As such, if there are no players claiming the jackpot, it will get bigger and bigger until one or more lucky players finally match the 5 main numbers and Powerball. This has made the Powerball lottery popular with players all over the world because everyone wants a share of the enormous prizes in America’s biggest lottery. If you don’t manage to win the incredible top Powerball prize, there are some fabulous secondary prizes that you can look forward to. The US Powerball offers a total of 9 prize divisions, including the jackpot. Matching all of the main numbers, but not the Powerball, earns players a fabulous $1 million prize. The next prize tier is worth $50,000 and it goes to players who match 4 of the 5 main numbers with the Powerball. 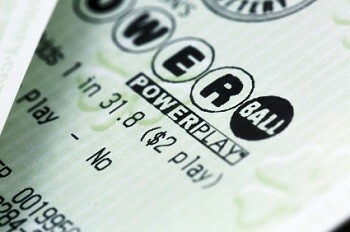 Remember that the second prize in the Powerball can reach $2 million and the third prize can reach $100,000, $150,000, $200,000, $250,000, or even $500,000 for winners playing the Power Play option. As for the following prize divisions (4th to 9th), they are worth $100.00 and less, but they will provide players with an excellent incentive to keep playing this fabulous lottery. They will also be increased by the Power Play multiplier, which makes it well worth trying out. Since the US Powerball is the most popular lottery in America and the entire world, there are millions of players who try their luck with every single draw. This ensures that the game’s jackpot reaches the tremendous amounts it has become well-known for. While the odds of scoring the huge jackpot are quite difficult to beat with odds of 1 in 292 million, this fabulous prize is well worth trying because there is nothing like it out there in the lottery world. To stand any chance of winning the lottery, you’ve got to play it. 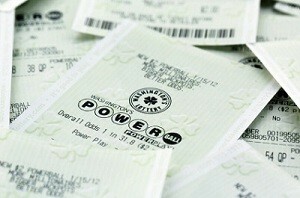 So, submit your ticket and you could be that 1 in 292 million who takes home the fabulous Powerball jackpot.